Well Presented Semi-Detached House with Parking | Reception Hall | Lounge/Dining Room | Conservatory/Sun Lounge | Fitted Kitchen | 3 Bedrooms | Bathroom/W.C | Loft Room | Gas Central Heating | UPVC Double Glazing | Off Road Parking for Two Vehicles | Enclosed Rear Garden | Garden/Bike Store | Some Sea Views | Close To Town | Viewing Recommended. This well presented three bedroomed semi-detached house occupies a elevated residential position within half a mile of Paignton town centre which offers a fine and varied range of shopping facilities and amenities plus beaches and harbour. The accommodation features reception hallway, through lounge and dining room with feature fireplace. There is a separate rear conservatory and fitted kitchen. On the first floor there are three bedrooms, fitted bathroom/W.C and from the landing there is ladder style access to a most useful loft room with velux window, light and power. Outside there is driveway parking for two vehicles to the front of the property and an enclosed garden to the rear with useful garden store/bike store with access of Monastery Road. An internal inspection of this gas central heated and UPVC double glazed property is highly recommended to appreciate the accommodation on offer. Scheme managed retirement apartment close to Goodrington beach and on bus route in level location | Coach House Style | Recent kitchen and Shower Room | Entrance Hall | 17' Lounge with sea view | 2 Bedrooms | Shower Room (with double shower) | Kitchen | Electric Heating | Double Glazing | Vacant | Communal Gardens | Communal Parking | Close Youngs Park | Close Goodrington Beach | Close to Leisure Centre. Pebble Court is a high quality development of well appointed apartments designed specifically for the comfort of retired people and situated in the heart of the English Riviera. The retirement apartments here offer many advantages to those who wish to make the most of their increased leisure and other opportunities that retirement brings. Pebble Court is a small community of apartments that offer comfort, support and security to all residents and an alarm in most rooms links to the resident scheme manager should he be needed. There is a residents' lounge where neighbours can meet up and attention is paid to details such as high level sockets, double glazing and all electric heating. There is even a guest room for a small daily charge for any visitors who cannot otherwise be accommodated. Pebble Court gives security and independence and is sought after due to its proximity and level walking distance to Youngs Park, Goodrington Beach and the popular Clennon Leisure Centre. 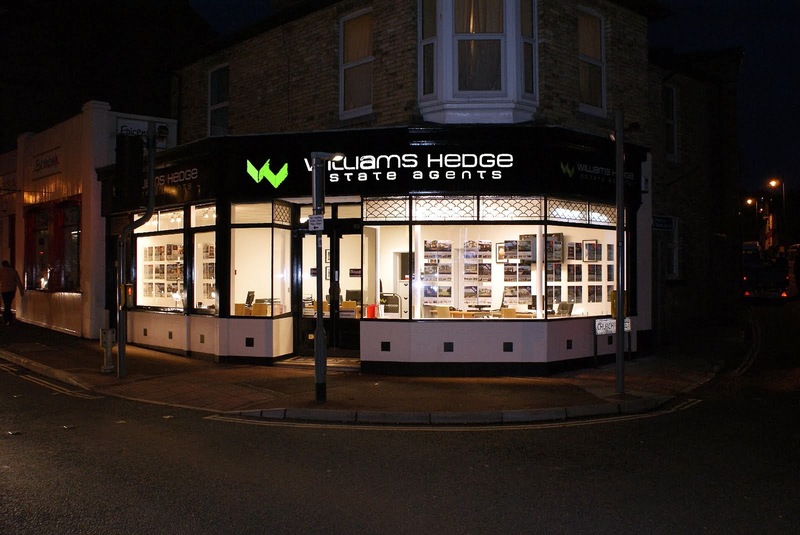 My husband and I just wanted to say thank you for the little flower plant that was delivered to our new house on behalf of Williams Hedge and for your service in selling our house in Shorton Valley Road. All in all we've been very pleased with everything and are now happy in our new home. I also wanted to let you know how satisfied we were with Anglo Carriers on the day of our house move. Andy and Ryan (I do hope I remember the names correctly, in the morning there was another young man called Dan) were absolutely brilliant and made a stressful day much easier to bear with their skillful, patient work and pleasant manners. 2 Double Bedroom 2nd Floor Apartment with sea views | Spacious Entrance Hall | 20' Lounge/DiningRoom with impressive sea views | Fitted Kitchen | 2 Double Bedrooms | Bathroom | Gas Central Heating | Double Glazing | Parking Space | Communal Gardens | Drying Area | Sea Views | Vacant | Popular residential location | Walking distance of Goodrington Beach. Number 18 is located on the 2nd floor to the rear of the complex. The main entrance doors are to the left of the complex with number 18 being the last communal entrance door which provides communal entrance access to six flats. Number 18 being located on the second floor and accessed via four short flights of internal stairs. A Superbly Presented Bungalow in Village Location | Entrance Porch | Reception Hallway | Lounge | Dining Room | Fitted Kitchen/Breakfast Room | 2 Double Bedrooms | Bathroom/W.C |Gas Central Heating | UPVC Double Glazing | Brick Paved Driveway | Enclosed Rear Garden | Popular Village Location | Viewing Recommended. This superbly presented two bedroomed semi-detached bungalow occupies a residential position in the popular village of Marldon which offers a range of facilities including local shop, primary school, village church and Inn, sporting facilities and public transport connecting the town centres of Paignton and Totnes. Features of the accommodation which is a credit to the owner include a uPVC double glazed entrance porch, reception hallway, dining room with archway through to a fitted kitchen/breakfast room, separate lounge plus two double bedrooms and bathroom/W.C. Outside there is the benefit of brick paved parking bay allowing off road parking for two cars and an enclosed rear garden which is arranged to timber sun deck, paved patio and lawn. An internal inspection of this gas central heated and UPVC double glazed property is highly recommended to appreciate the accommodation on offer. A Detached Marine Residence with spectacular sea and coastal views | Entrance Porch | Reception Hallway | 25ft Open Plan Living/Dining Room with stunning sea views | Fitted Kitchen/Breakfast Room | 3 Bedrooms (master with en-suite) | Family Bathroom/W.C | Gas Central Heating | UPVC Double Glazing | Large Garage | Driveway Parking | Timber Sun Deck with superb sea view | Easily Maintained Front & Rear Gardens | No Chain | Viewing Recommended. The National Association of Estate Agents (NAEA) is the UK's leading professional body for estate agency. Its members practise across all aspects of property both in the UK and overseas, including residential and commercial sales and letting, property management, business transfer, auctioneering and land. 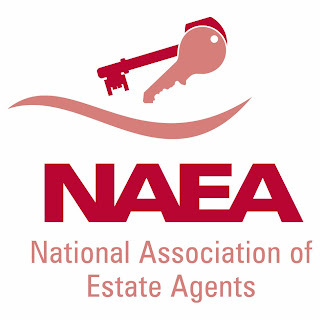 NAEA was founded in 1962 by estate agent and entrepreneur Raymond Andrews. 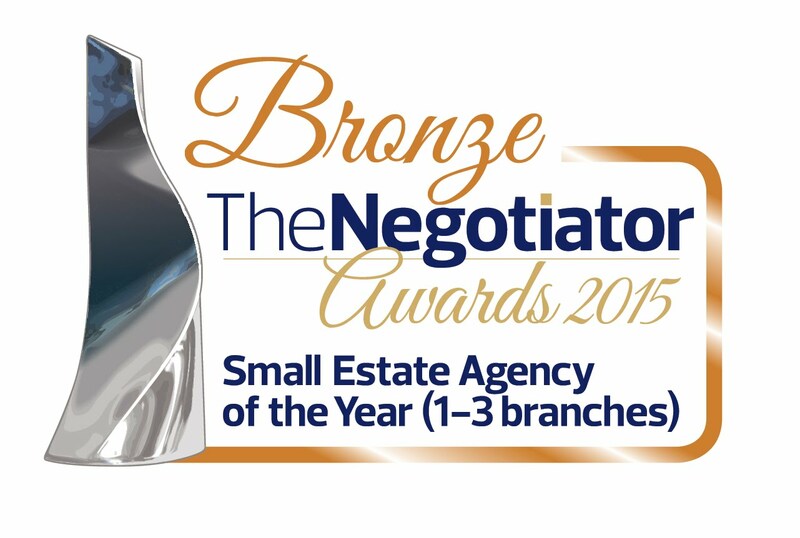 We were established with the goal of upholding good practice and high professional standards in UK estate agency. 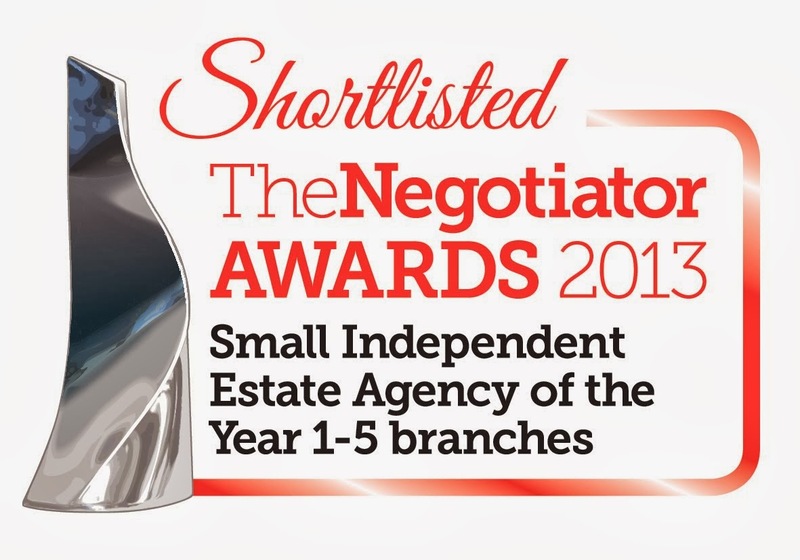 This struck a chord with the industry at a time when there was little representation for estate agents and has allowed the Association to grow phenomenally for over 40 years. Today, with their head office based in Warwick, and their additional offices in London and Edinburgh, their key roles include providing help and guidance for property professionals across a broad spectrum of disciplines while continually campaigning across the UK to make the property market more efficient and user-friendly for the home buying and selling public. We encourage property owners to take advantage of the simple solutions currently on the market that can help properties retain heat and save on energy costs. Cavity-wall insulation – Although this involves a rather noisy installation process, the benefits can be felt instantly. Insulating your walls harnesses the heat generated in the home meaning substantial savings on your energy bills. [A specialist installer should always be sought for this type of job so ensure you choose a member that is Cavity Insulation Guarantee Agency (CIGA) qualified]. Draught-Stripping – Installing specialist stripes of foam around windows and doors will significantly reduce draughts and air permeation in your home, helping to retain the heat and ultimately saving you money. [Costing around £50-£80 depending on whether you install it yourself or not, draught-stripping can save up to £20 per year for a gas-heated semi-detached house]. Loft Insulation – This well-established efficiency measure offers a cheap and easy way to top up insulation already installed. Boosting the thickness of the insulation to between 250 and 300 mm thickness is recommended for optimum efficiency. Pipe Cladding – Ensuring an external pipes are well insulated minimises additional heat loss and can reduce the risk of freezing if a property is left unoccupied during a cold period. Move furniture away from radiators – This can increase the feeling of warmth in a room by allowing the heat to flow more freely. Place foil behind radiators on exterior walls to reflect the heat back in to the room and minimise heat loss to the outside. You can use ordinary foil or purchase specially designed panels from a DIY shop. Replace windows and doors with double glazing – This can improve the aesthetics and saleability of your home, as well as save energy. However, it can be costly and the money you will save on subsequent energy bills is unlikely to cover the outlay. If you are worried about heat loss through windows, a cheaper option is secondary double glazing or using rubber draft stripping which is available in DIY shops and can also be used on doors. If you are planning on Downsizing your home, please read the below hints and tips to give you an insight into what is involved and how to do so quickly yet successfuly. Plan your packing well in advance - Packing up a large home can be an off-putting chore, but planning well in advance can make it easier. Think about where you will be un-packing items and which room your belongings will be placed in, and then pack your boxes by the bookcase, shelf, or cupboard they'll end up in. If you haven't got it all mapped out just yet then simply make sure you label all your boxes clearly so when you unpack there aren't any surprises. Don't take what you don't need - Downsizing is also your chance to have a thorough spring clean and focus on exactly what you want in your new home, and what you don't. You may have furniture which is unsuitable for your new home, or that could do with replacing. So think ahead and make sure you have taken proper measurements of your new property so you don't struggle on moving day with items that you probably shouldn't have brought with you. Set up your utilities as soon as possible - It isn't nice to move into a new property and spend ages getting the gas and electricity up and running. So check with the agent and get the details of the previous utility providers so you can call them to set up new accounts. Also, make sure that your phone and broadband services are ordered prior to moving in as these often take a number of weeks to become active. Maximise space - Your new home might have less elbow room, but think carefully about the layout, and look at ways you can get the most out of the space available. Often if a house has been occupied for some time, the owners may have used a bedroom for storage or a study. The Home.co.uk Property Search Engine found 44 agents advertising 484 properties within 1 mile of the centre of Paignton. The top 20 Paignton Estate Agents are listed below, along with the number of Paignton Properties For Sale in their respective property portfolios followed by their estimated market share (% of total Paignton property market). 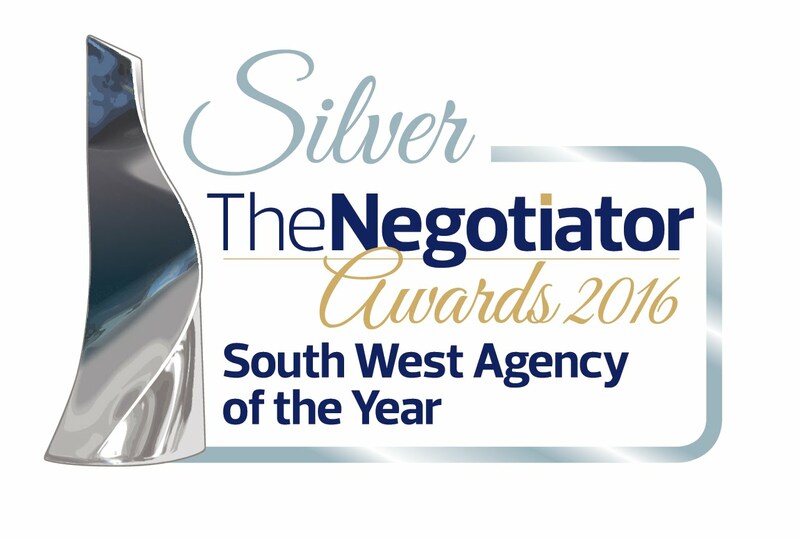 Buyers and sellers of Paignton property will probably find that these popular leading estate agents can offer above average market insight and property sales service. 1930s 3 bed semi detached house | Entrance porch | Entrance hall | Lounge | Separate dining room | Study | Kitchen | Extended kitchen with vaulted ceiling and skylight |Landing | 3 bedrooms (2 double) | modern fully tiled Shower room with walk in shower enclosure | Enclosed 35’ x 30’ Rear garden | Cul de sac location | Double glazing to front and rear doors. Substantial and much extended Detached House with Moorland Views | Entrance Porch | Reception Hall | Lounge opening to Sun Deck | Separate Dining Room | Superb Fitted Kitchen/Breakfast Room | Inner Hallway | 4 Bedrooms (Master with en-suite shower room/W.C) Family Bathroom | Internal Office/Work Room | Gas Central Heating | UPVC Double Glazing | Brick Paved Driveway Parking | Good Sized Rear Garden with timber deck | Cul-De-Sac Position | Superb Moorland Views | Viewing Highly Recommended. This extremely well presented and skilfully extended detached house occupies a residential cul-de-sac position in the sought after village of Marldon which features a range of facilities including primary school, shops, church, Village Inn and bus services connecting town centres of both Paignton and Totnes. Features of the accommodation which is a credit to the current owners includes double glazed entrance porch with internal door to the main hallway, a good sized lounge with fine moorland views and French doors to a timber sun deck, there is a separate dining room, a superbly fitted kitchen/breakfast room with a range of integral appliances, two bedrooms and family bathroom on the first floor whilst on the ground floor, two further bedrooms including the master bedroom which has an en-suite shower room/W.C. There is also an extremely useful internal office/work room with access to a useful utility cupboard. Outside there is a brick paved driveway and landscaped front garden whilst to the rear there is a good sized enclosed rear garden with further timber decked areas, lawned garden and timber built workshop/store and some further fine views. An internal inspection of this gas central heated and UPVC double glazed property is highly recommended to fully appreciate both the size of the accommodation and the quality of presentation. P.s. we're now settling into our new home"
Detached Bungalow in sought after location just yards from the beach | Reception Hallway | Lounge/dining room | Fitted Kitchen | Utility Porch | 2 Bedrooms | Bathroom/W.C | Gas Central Heating | UPVC Double Glazing | Extensive Loft Area with potential to extend/convert (subject to pp) | Garage & Driveway Parking | Good Sized Plot with delightful gardens | Greenhouse Store and Small Workshop | Sought after location close to Broadsands Beach and coastal walks | No Chain | Viewing Recommended. This well presented and maintained two bedroomed detached bungalow occupies a sought after residential position within just a few yards from the popular Broadsands beach with coastal walks to Elberry Cove and the headland and also across towards Goodrington. Local facilities at Churston are within approximately half a mile and include a range of shops, library and public transport connecting the town centres of Paignton and Brixham. Features of the accommodation include reception hallway, lounge/dining room, fitted kitchen, useful utility porch, two bedrooms plus bathroom/W.C. From the reception hallway there is access to the extensive loft area where there is potential to convert to additional accommodation (subject to any necessary consents). Outside there is a garage and driveway parking at road level with pathway and few steps leading to the front door. The property occupies a good sized plot with lawned gardens to both front and rear stocked with a variety of shrubs, plants and bushes. An internal inspection of this gas central heated and double glazed property is recommended to appreciate the accommodation and also the potential on offer. An extended and much improved semi detached house in sought after location | Porch | Reception Hallway | Cloakroom/w.c | Lounge | Good sized family /dining area with door to outside | Quality fitted kitchen with built in appliances | 3 good sized Bedrooms | Superbly fitted bathroom/w.c | Gas central heating uPVC double glazing | Rear garden with timber sun deck and 60’ lawn | Cul- de sac position | Viewing Recommended. This well presented and skilfully extended 3 bedroomed semi detached house occupies a residential cul de sac position in the popular Oldway area of Paignton and close to the sought after primary school, Oldway mansion and within approximately 2/3 of a mile to Paignton town centre which offers a wide and varied range of shopping facilities and amenities. The features of the accommodation which has been extended by the current owners and is a credit to them, include porch plus reception hallway, bay windowed lounge, a superb extended open plan dining/family/kitchen with quality appliances and ample space for family living. There is also a cloakroom/w.c on the ground floor. Whilst on the first floor there are 3 bedrooms and a bathroom/w.c with separate shower cubicle. Outside there is brick paved parking to the front of the house whilst to the rear there is an enclosed garden with split level timber decking, 60ft lawn and useful storage shed. An internal inspection of the gas centrally heated and double glazed property is highly recommended to appreciate the accommodation on offer. A Three Bedroomed Semi-Detached House in a cul-de-sac position opposite woodland | Reception Hallway | Lounge/Dining Room | Fitted Kitchen/Breakfast Room | 3 Bedrooms | Bathroom/W.C | Gas Central Heating | UPVC Double Glazing | Good Sized Integral Garage | Driveway Parking | Landscaped Rear Garden | Viewing Recommended. This well presented three bedroomed semi-detached house occupies a cul-de-sac position immediately opposite Occombe Woods offering some attractive woodland walks and close to public transport service connecting the town centre of Paignton which is approximately 1 ½ miles distant. Shops and local facilities including beaches are also nearby and within level access of Preston. Features of the accommodation include reception hallway, double aspect lounge/dining room, fitted kitchen with built-in oven and hob, three bedrooms plus modern bathroom/W.C. The property also has the benefit of driveway parking and a larger than average garage and also front and rear gardens. An internal inspection of this gas central heated and UPVC double glazed property is recommended to appreciate the accommodation on offer. Well presented three/four bedroomed semi-attached house located in popular level sought after location at Broadsands Park. The property occupies a level plot with off road parking to the front (with potential to create a further parking space) and an attractive decked rear garden with uplighting and feature pond with fountain. Internally, inviting accommodation comprising of a generous lounge, kitchen/dining room with solid Oak fitted kitchen, ground floor W.C and a converted garage useful for further reception room/occasional bedroom 4. On the first floor there is a landing, three double bedrooms and bathroom which has separate shower cubicle. Internal viewing of this well situated and well presented home offering easy access to local amenities is highly recommended. A Superbly Presented Semi-Detached House | Reception Hall | Cloakroom/W.C | Lounge | Fitted Kitchen/Dining Room | 3 Bedrooms (master with en-suite shower room/W.C) | Family Bathroom/W.C | Gas Central Heating | UPVC Double Glazing | Garage & Driveway Parking | Enclosed Rear Garden | Viewing Highly Recommended. A superbly presented modern three bedroomed semi-detached house which occupies a residential position on the extremely popular Willows development on the outskirts of Torquay and convenient to local supermarkets, out of town stores and with bus route connecting Torquay town centre which offers a wide variety of shopping facilities and amenities, beaches, harbour and marina. Features of the accommodation which is a credit to the owners include reception hallway with cloakroom/W.C, lounge, well fitted kitchen/dining room with French doors leading to the rear garden, three bedrooms on the first floor (master bedroom has en-suite shower room/W.C) and there is also a family bathroom/W.C. Outside there is driveway parking leading to a 19ft garage and an enclosed rear garden arranged for ease of maintenance. An internal inspection of this gas central heated and double glazed property is highly recommended to appreciate the accommodation on offer. A Modern Detached House with some sea views | Reception Hallway | Cloakroom/W.C | Lounge | Separate Dining Room | Conservatory | Fitted Kitchen | Utility Room | 4 Bedrooms (master en-suite) | Family Bathroom | Garage & Driveway Parking | Front & Rear Gardens | Gas Central Heating | UPVC Double Glazing | Viewing Highly Recommended. This well presented four bedroomed detached house occupies a residential position on the outskirts of Paignton and convenient to bus service connecting the town centre which is approximately 1 ½ miles distant and offers a wide and varied range of shopping facilities and amenities, beaches and harbour. Also located nearby are primary and secondary schools, supermarkets and there is good access to main road for travelling to Torquay, Newton Abbot and Totnes. Features of the accommodation include reception hallway with cloakroom/W.C, there is a lounge and separate dining room, double glazed conservatory to the rear, fitted kitchen plus separate utility room with access to the attached garage. On the first floor there are four bedrooms including the master bedroom with en-suite shower/W.C and there is also a family bathroom. Outside there is driveway parking leading to the attached garage and front and rear gardens. An internal inspection of this gas central heated and UPVC double glazed property is recommended to appreciate the accommodation on offer. A modernised end of terraced house in a popular level location. Entrance porch | Hallway | Double Aspect Lounge/Dining Room | Conservatory | Fitted Kitchen | 3 Bedrooms | Bathroom/W.C | uPVC Double glazing | Gas Central Heating | Front and Rear Gardens | No Chain | Viewing Recommended. Entrance Lobby | 21ft Lounge/Diner with bay window, dual aspect | Kitchen | Utility Room | Ground Floor W.C | Landing | 3 Bedrooms (2 Double) | Shower Room | Gas Central Heating | Combi Boiler | Single Glazed Windows | Off Road Parking for 3 vehicles | Front Garden | 60ft Rear Garden with terraces rising to the rear boundary. Stylish Modern Detached House | Entrance Lobby | Lounge | Dining Room | Conservatory | Fitted Kitchen | Utility Area | Cloakroom/W.C | 4 Bedrooms (Master En-suite) | Family Bathroom | Gas Central Heating | UPVC Double Glazing | Garage & Driveway Parking | Enclosed Rear Garden | Timber Chalet/Workshop | Cul-De-Sac Position | Viewing Recommended. This stylish modern four bedroomed detached house occupies a residential position on the popular Heritage Park situated on the outskirts of Paignton and convenient to local schools, supermarkets and approximately 1 ½ miles from the town centre which offers a wide and varied range of shopping facilities and amenities, beaches and harbour. The accommodation which is well presented features and entrance lobby with lounge opening through to dining room, a rear uPVC double glazed conservatory, fitted kitchen plus utility area and ground floor cloakroom/W.C. On the first floor there are four bedrooms including the master bedroom which has an en-suite shower room, and there is also a family bathroom. Outside to the front of the property there is double width driveway parkin, an integral garage plus enclosed rear garden which features patio, lawn and a log style cabin/workshop. An internal inspection of this central heated and UPVC double glazed property is recommended.